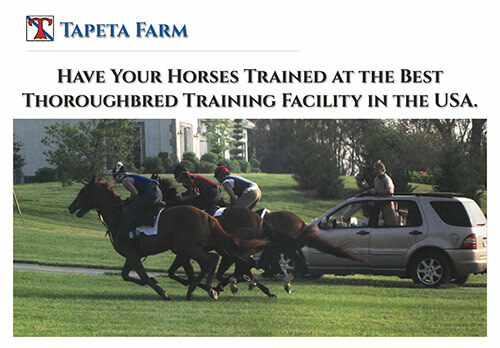 Have Your Horses Trained at the Best Thoroughbred Training Facility in the USA. On June 4, 2014 the Equine Veterinary Journal published an independent, refereed paper "Analysis of Stress Fractures Associated with Lameness in Thoroughbred Flat Racehorse Training on Different Track Surfaces". Over a 10 year period involving 1075 thoroughbred racehorses. 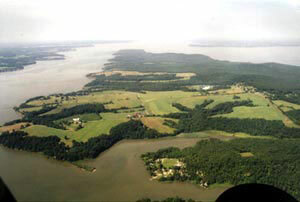 Located on 250 acres at the top of the Chesapeake Bay, Tapeta Farm is a training center like no other in the USA. It was designed by renowned trainer Michael Dickinson combining the latest, most innovative technology in equine care with fundamental "good sense" horse husbandry. Tapeta Farm is located mid-way between New York City and Washington, D.C. and is within easy vanning distance to 11 major race tracks. 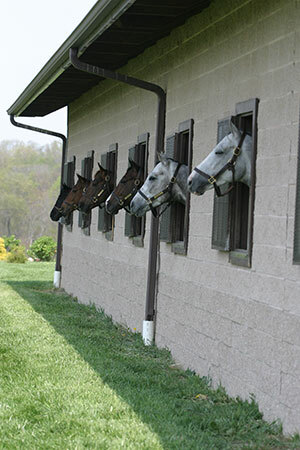 We believe in giving our horses a view and 24 hours a day access to fresh air. The training of racehorses has changed very little over the last 50 years. Training at a racetrack in the USA is limited by the lack of space, grazing, time, freedom and privacy as well as loads of restrictions. This leaves trainers with very few options. 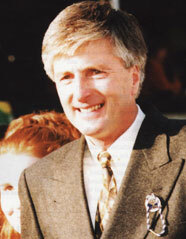 In 2007 Michael Dickinson retired from training (at the request of his wife Joan Wakefield) to focus on the expansion of Tapeta Footings overseas (now in 10 countries). At that time Michael had no intention of training thoroughbreds again, but over the next 4 years he found time to look at different training methods picked up from other industries. He then spent 3 years conducting trials on those methods where he also discovered most of them do not work, but he found that some were most effective. © 2015 Michael Dickinson, Inc. All rights reserved.